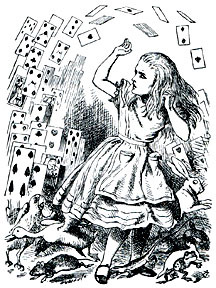 Source of Image: Left: "You're nothing but a pack of cards!" 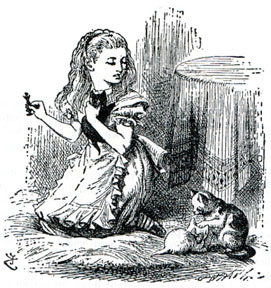 (John Tenniel's illustration to chapter 12, Alice in Wonderland). 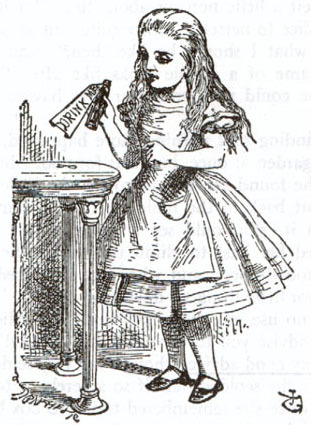 Right: "Alice found the Red Queen (John Tenniel's illustration to Chapter 12, Through the Looking Glass). Nunn, Joan. Fashion in Costume, 1200-2000. 2nd edition. Chicago: New Amsterdam Books, 2000.